It is very stable movable.It is wasteful for adults' work! This review is about item#08632136. Especially it was able to be repaired without problems. After replacement it is operating without problems. This review is about item#8632477. I was able to purchase it at about half price compared to the place I purchased before. It is packed properly in a box and use at the time of maintenance is satisfied without particular problem. This review is about item#8632364. This review is about item#8632373. This review is about item#08632477. It used to be in a box but not recently. Even though the direction when storing it in a box was written. I will doubt whether it is a brand new even if it matches with a new one. This review is about item#08632337. This review is about item#08632434. Backlash is large, not suitable for automatic feeding. This review is about item#08632391. Milling machine automatic feeding power. There is almost no backlash, accuracy is satisfactory and satisfactory. This review is about item#08632601. This review is about item#08632276. The motor I used before was the M6RA6G4Y + gearhead MA 6G 50B, but it became out of print, it seemed that M6RX6G4Y could be used as a compatible, and it was replaced with this gearhead (MX6G50B) which fits M6RX6G4Y, but it was not possible to use it as it was. The protrusion of the gear attachment part is longer than the MA6G50B and it is necessary to scrape off it, and the notch of the screwing part of the protrusion of the gear attachment part is shallow and it can not be used unless it scrapes there too, so it is compatible from M6RA6G4Y (motor) You had better be careful in the case of replacing. 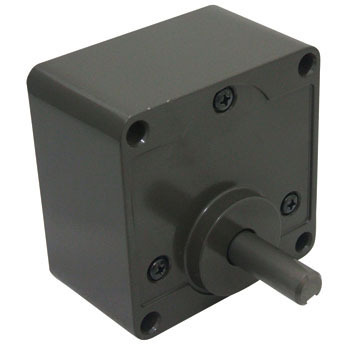 The countermeasure is to cut off the above mentioned method or if there is room in the upper part of the motor, it may be better to put a spacer etc between the machine and the gear head. We are using a spacer. This review is about item#08631935. To work, rotate the scissors grinding stone. I'm sharpening sharpener specialized sharpener. I am using it with the G8 motor of the M81 X 25 G 4 L "Tsui". Without this you can not sharpen. If you do not have a gaud head, you work with a blade with a motor of 1550 revolutions per minute that does not have a blade, it gets hot and gold will rise. So, drop the rotation to 500 rpm and attach "blade" with low rotation. This review is about item#08632233.